It’s not every day that a girl meets a really nice guy in a bar! But that’s just where I met Joe Hartlaub–in the bar of the Grand Hyatt in NYC when we were both attending Thrillerfest. While Joe is an attorney specializing in entertainment law with emphasis on music and lit intellectual property rights, he also has a secret life as an actor. Next year you can see him in the independent film, “LA-408.” My writer and musician readers will know him from his many reviews for Bookreporter.com and Music-reviewer.com. Joe tells great stories, most of them involving crimes, really dumb criminals, guns, and famous people (not necessarily in that order!). I also suspect him of secretly being a superhero! T.S. Eliot informs us at the beginning of his epic work THE WASTE LAND that “April is the cruelest month.” Just so. I don’t care for April. I’m an October guy. October means Halloween, which means that late at night after my daughter goes to bed I can filch a Crunch bar or two without her being any the wiser. It also means no more spiders for a while. and a flamethrower stand ready during the summer should a jumping spider breach the barricades. They try, but don’t succeed. Come October, it gets cold enough at night in Ohio that morning always brings the discovery of at least one or two shriveled carcasses, eight legs folded up in a futile effort to fend off the cold. I stomp them anyway, leaving the bloodslick as a warning to others, and spraying Hot Shot on the webs on the lawn which are so helpfully outlined by condensation. It never gets cold enough to snow, but the occasional bitter chill from a still wind reminds me that they’re all be buried under four to six inches of the white stuff, very soon. 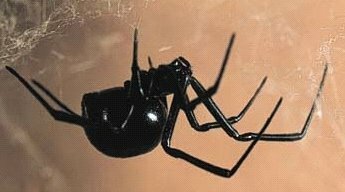 I have to laugh when I read a novel wherein the protagonist ventures into a web-free, and spider-free, basement, poking around in long disturbed boxes without fear of getting bitten, or worse, by a black widow or brown recluse. A novel I read recently had a protagonist who traversed a field several times without encountering a tarantula once. Great book, but my suspension of disbelief became unsuspended. On the other hand, one of my favorite scenes in Stephen King’s DARK TOWER opus involved a kid running through a basement as spiders dropped from the ceiling and venom dripped on his back. I didn’t sleep for a week, but at least that was REAL. Linwood Barclay, in TOO CLOSE TO HOME, his latest novel, drops a spider down a teenager’s shirt as he hides in a basement crawlspace. That happens. A friend of mine who makes a living selling antiques on a regular basis goes through rooms that have not been disturbed in decades, finding spiders whose ancestors acquired adverse possession interest in the premises during the Roosevelt years. Teddy‘s, that is. It’s why I stay out of basements, sheds, garages, and fields. And antique stores. 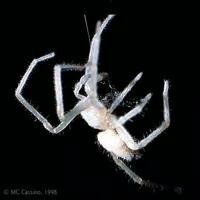 My wife, on a Halloween night several years ago, thought it would be clever to carefully place several small plastic arachnids on the blades of our bedroom ceiling fan, no doubt thinking how amusing it would be when I turned on the fan and spiders went flying. Yes indeed. She is just too funny. We are still finding the things at inopportune times and even worse places, like the always-growing stack of books on my side of the bed. You would think they would stay out of there. Some things, after all, are sacred. Thanks so much, Joe! You’ve made me totally re-think getting the Halloween decorations out of our garage. We are covered up in brown recluse spiders here! That is too funny, Joe. I almost did a piece on my own relationship with spiders for Laura for this Saturday. Great minds &c.
I feel better knowing I’m in such fine arachnophobic company. One of my best friends loves spiders and will not allow them to be ‘murdered’ in her home. Once when her sister commented that she really should get rid of the webs hanging from her living room ceiling, my friend responded, “Hey, there’s people living up there.” Sometimes I worry about my friend. Hi Joe and Laura, I am not afraid of spiders as long as they stay away from me, far away. Wow Joe, using a 12 gauge the Mossberg 500 Persuader, if that don’t work, nothing else will. I own an M’berg 500 with an 18″ barrel, and indeed it is hands-down the best pest control (pests of every variety) ever made. Though now I want the new Mossberg 930SPX autoloader. Yowza! I’ll remember not to send my daughter to visit yours with any arachnids! Brown recluse spiders in particular are no fun.